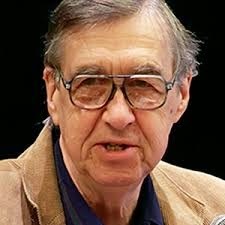 Charles T. Tart is a psychologist and parapsychologist best known for his work on lucid dreams, astral projection, LSD, marijuana, and ESP. He is currently a Core Faculty Member at the Institute of Transpersonal Psychology (Palo Alto, California) and a Senior Research Fellow of the Institute of Noetic Sciences (Sausalito, California), as well as Professor Emeritus of Psychology at UC Davis. His early work was concerned with altered states of consciousness (ASCs), particularly as induced by various drugs (he also wrote this). Tart, who believes that Yoga and Zen had long been tapping into ASCs, took there to be something mystical or spiritual – superior or higher – about these altered states of consciousness. Indeed, according to Tart, ASCs are a gateway to a higher consciousness, to the realm of the paranormal and the spiritual. He hastens to assert that “[t]here was a time, years ago, when I was highly skeptical of any paranormal claims of any kind,” but he came to change his mind because … well, because of curious personal experiences easily explained without invoking the supernatural but for which a supernatural “explanation” appealed more to him. “What you make of [these stories] depends very much, I think, on your prior convictions,” says Tart, and uses that as a blanket permission to interpret them any way that suits his mood. Tart is, in fact, somewhat more dogmatic than parapsychologists in general, and has stated that science has confirmed the existence of remote viewing, psychokinesis, precognition and ESP, even though these claims are false (though Tart has rather systematic problems with understanding basic methodology), and usually counters objections by claiming that “materialistic skeptics” ignore the data (rather than, you know, pointing out methodological flaws in the process of obtaining those data). Now, to understand where he is coming from it is worth noticing that Tart’s definition of “science” is rather different than the rest of the scientific community, and much of the arguments in the book rest on his deep interests in Buddhism and spirituality, making it clear these things give him a bias toward favoring the paranormal data he reports on. Most of the data he reports on are made up of personal reports or testimonials, often well-known and already much-discussed cases (including Hal Puthoff and Russell Targ), which to Tart apparently counts as scientific proof. Even though he is a psychologist, he rejects established psychological explanations for paranormal phenomena, and plumps instead for the idea that people can remote view out of their physical bodies into the past, present, and future and that people can predict future events. It is, however, a bit difficult to reconcile his claims that psi is real, that it is non-physical in basis and that is does not operate to known scientific laws, but has nevertheless been proven by science in repeatable experiments – one almost suspects some wilfull compartmentalization going on. Tart himself has complained about the difficulty in getting funding for research into parapsychology, suggesting that inherent bias among scientists is the cause (oh, yes, the appeal to conspiracy instead of the more obvious explanation that Tart’s claims are completely unsupported and his research methodology patent nonsense). Of course, when making these complaints he neglects to mention that he spent a year developing a curriculum and teaching as the director of Robert Bigelow’s endowed Chair of Consciousness Studies at the University of Nevada at Las Vegas. Bigelow gave nearly $4 million to UNLV in 1997 to investigate such subjects as dreams, meditation, hypnosis, out-of-body experiences, telepathy, and the ever-popular subject among college students, drug-induced altered states of consciousness. One may wonder why One wonders why Tart, instead of using some of Bigelow’s money to do the large-scale studies he complains about not being able to do because of lack of funding, apparently decided to use the money to promote what he already believed to be true. His book The End of Materialism is also notable for endorsing the ravings of fraudulent mediums such as Eileen Garrett and Leonora Piper. Diagnosis: Wishful thinking taken to extreme levels – and Tart even seems to admit as much on occasions. But he has no evidence for his conclusions, unless you – as Tart seems to suggest – redefine “evidence”. Dr. Charles Tart doesn't support the strict materialist model of conventional science which is based on the old paradigm of Newtonian classical mechanics and is fundamentally flawed. Conventional materialist concepts of reality have been falsified such as: (1) locality, (2) causality, (3) continuity, (4) determinism, and (5) certainty in the last century by the modern science of quantum electrodynamics. Quantum mechanics provides undeniable, mathematical proof that everything we know and experience works in fundamentally bizarre ways. Matter is basically 99% empty space and quantum particles are zero-dimensional points. Time travel into the future is possible at high speeds. Quantum information can teleport through impenetrable walls. Quantum particles can exist in two places at the same time and change their behavior when there is a conscious observer. "Delayed choice quantum eraser experiments" performed in 2000 (and afterward) strongly demonstrates mental observation and choice is deeply rooted in quantum mechanics. Without mental observation, all matter exists in an undetermined state of probability, time has no real existence, and space is just a concept we use to make sense of things. We experience time as obvious and straightforward; but each moment of mental function contains a different set of memories and experiences and it wouldn’t matter if our timeline is completely scrambled. In quantum physics, the holographic model of reality of the most popular string theory interpretation of the holographic principle allows for phenomena considered "transpersonal" such as near-death experiences, other phenomena involving life after death, and mental telepathy for example. This current model of reality solves the mystery of quantum entanglement which Albert Einstein called "spooky actions from a distance" and agrees with the field of transpersonal psychology of which Dr. Tart co-founded. At the core of materialism, the fundamental component of existence - the nature of consciousness - is intentionally ignored even though the pioneers of quantum mechanics demonstrated and believed consciousness has a definite role in creating reality. Mainstream materialist theories of consciousness use classical mechanics in assuming consciousness emerged and is produced from "goo". So they focus particularly on complex computation at synapses in the brain allowing communication between neurons. But because quantum vibrations have been discovered in microtubules in the brain, a theory developed by the emminent physicist Roger Penrose known as Orchestrated Objective Reduction (Orch-OR), which allows for a person's quantum mind to exist in the multiverse, has garnered significant support. At death, the quantum information processed inside these microtubules doesn’t disappear. Instead, it is retained on the edge of the event horizon of the singularity from which our universe projected; thereby allowing the information to be retrieved after death. This is the "quantum consciousness" paradigm of the field of transpersonal psychology. Other support for quantum consciousness and transpersonal psychology comes from one of the fundamental laws in physics, the first law of thermodynamics which states that energy cannot be created nor destroyed - only transformed. This law supports all of such quantum theories (black hole thermodynamics, Many-Worlds, Many-Minds, a holographic universe, a holonomic brain, Orch-OR, quantum consciousness, and quantum immortality) that a person and their quantum energy cannot be destroyed and is therefore immortal. This is just the quantum theory case for transpersonal psychology. There are a multitude of other cases involving many other scientific fields of interest.